Juliana is a singer and an ethnomusicologist. While Russian traditional music is her main passion, she also enjoys performing songs of Bulgarian, Romani (Gypsy), Norwegian, Swedish, Danish and many other cultures and is open to all kinds of vocal art. She also plays many ethnic instruments. Juliana was born and raised in Moscow, Russia, where she graduated as a Russian folk singer from Ippolitov-Ivanov Musical Academy. For the last 20 years she has organized numerous ethnographic expeditions to remote villages of Russia. In these expeditions Juliana recorded and learned the songs carried from generation to generation for centuries only by the oral tradition. She also learned village customs, dances, ceremonies, as well as collected authentic musical instruments and costumes. Juliana began her stage career as a singer and an actress in Bratchina, Russian folk theater, and later moved to Denmark, where she continued refining her vocal skills in Carl Nielsen Academy of Music (Odense), department of Nordic traditional music. Juliana participated in numerous projects of world music and other styles, collaborated with many musicians, has been a member of Usmifka (a Bulgarian choir) and Glas (a Bulgarian sextet). Juliana's main project is PAVA - a vocal ensemble she founded and led since 2000. After moving to the United States in 2005, Juliana gathered together the second lineup of PAVA and now she continues her performing and teaching activities. 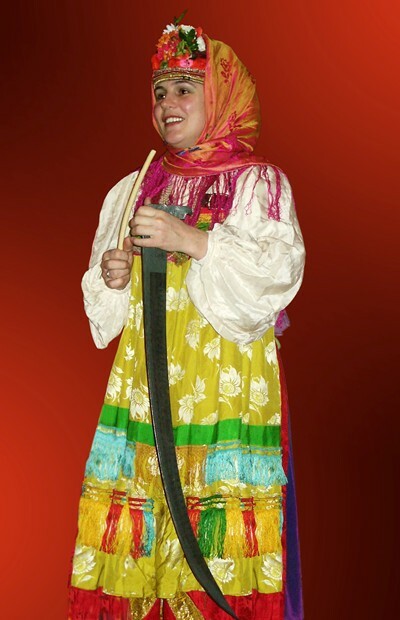 In recognition of her contribution to the Russian community of Washington State and preservation of traditional Russian culture, Juliana was awarded “The Person of the Year” title in 2008 by the Russian Cultural Center of Seattle and Consulate General of the Russian Federation in Seattle. In 2009, Juliana received a grant from Artist Trust for releasing a CD of Juliana & PAVA in the US, as well as the Russel Jaqua Award for Artistic Excellence. In 2014, Juliana received an award from Jack Straw Artist Support Program. For information about Juliana's upcoming and recent performances, please check out our calendar!